Daily Withdrawal Limit Increased to €7,500 at PlayFortuna Casino! 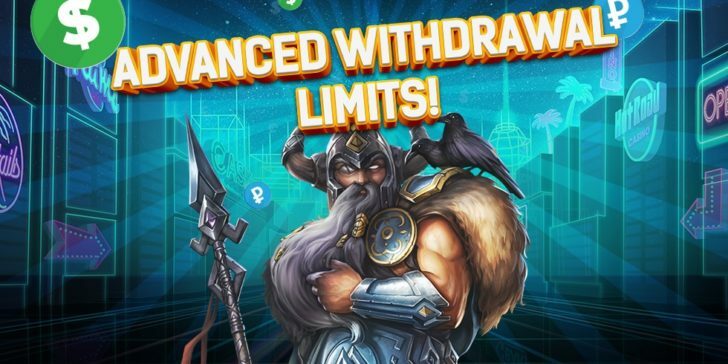 It was about time that PlayFortuna Casino increased its daily withdrawal limit. All players can win even more now! Win even more from now on, every day at PlayFortuna Casino! Online casino withdrawal problems are to be solved – that’s what PlayFortuna Casino’s new offer aims to achieve. Online casino players often complain that they cannot cash out as much as they’d like to. That they win but they have to keep their money on their account. Hence, they cannot spend the money they earnt. Now this innovative idea from PlayFortuna Casino will avoid such difficulties: their daily withdrawal limit is increased up to €7,500. The daily withdrawal limit was increased for new players up to €1,500. It means if you decide to join PlayFortuna Casino just now, you will get to win €1,500 every day. However, the more you improve your status, the more you will get to win – your daily withdrawal limit can increase up to €7,500, should you reach Platinum status. Do you want to see what other benefits their players get? Check out our review about PlayFortuna Casino for more information! Cash out up to €7,500 every day! All players can cash out more now!